Egypt’s State Information Service (SIS) launched on Sunday a new website in six languages -- Arabic, English, French, Swahili and Hausa -- to communicate with Africa in light of Egypt's presidency to the African Union (AU) in 2019. Egyptian President Abdel-Fattah El-Sisi took over the chairmanship of the AU on Sunday from Rwandan President Paul Kagame. The head of the SIS Diaa Rashwan said that the website is the largest serious attempt to communicate with other Africans in their local languages and in European languages commonly spoken in Africa. Rashwan said that the website (africa.sis.gov.eg) is part of a range of media activities carried out by the SIS to strengthen Egypt's relations with the peoples of Africa, especially in light of President El-Sisi's chairmanship of the AU. 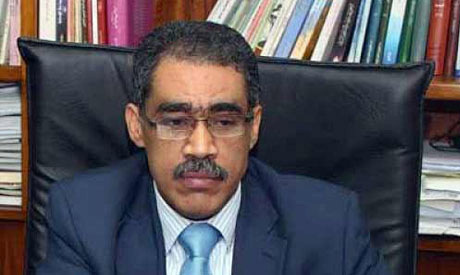 Rashwan said that the new website has 10 categories that will be updated daily, the most important of which is the 'Egypt' category, which provides information about the country's language, population, currency, national holidays, flag, national anthem, capital, major cities and major tourist attractions. The category also provides an overview of Egypt's history and political system, as well as daily news about the country in all areas. Other categories include 'Africa Today,' which contains the most important news in Africa, and 'Press Review,' which displays daily headlines from newspapers in different African countries as well as the most important articles and reports. Another category titled 'Egypt and Africa' deals with Egypt's relations with African countries and daily news on the topic.